The electric guitar and rock'n'roll have been inextricably intertwined since the very beginning, a perfectly natural combination. But the lead guitar only came to the fore as an instrument in the 1960s, when it became far more prominent on records and in concert. The really outstanding instrumentalists became famous in their own right, creating a new type of star - the guitar hero. Probably the first British guitar ace to emerge was Eric Clapton. When playing with John Mayall he showed himself to be an axeman of great taste and fluidity, with a passion for the blues that came out on record. When he left to join the Yardbirds, there was talk of him selling out from the blues, but he came back to the fold for a while, before leaving again to start Cream. From 1966 to 1968 Cream were one of the premier trios of the new progressive rock, still blues based, but exploring a lot of improvisation, which gave Clapton plenty of scope for showing his expanding skills and the "Clapton Is God" graffiti began appearing. Personality conflicts brought an end to Cream in 1968 and Clapton began a solo career that lasts to the present day, starting with Derek and the Dominos and Layla before progressing through softer music, such as Wonderful Tonight. He's overcome problems with drink and drugs and the death of his young son (for whom he wrote "Tears In Heaven") to find his way back to the blues, recording a duet album with the legendary B.B. King. 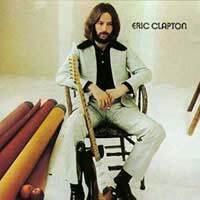 Clapton has become almost an elder statesman these days, lacking the youthful passion that once fired him, but is still revered by a generation or two of players. Coming out of nowhere, it seemed, Hendrix arrived from America in 1966 and took the British music world by storm. He was, it seems, streets ahead of anyone else. He'd served his apprenticeship with the Isley Brothers and Curtis Knight, as well as a short stint in the U.S. Armed Forces. But now he was a super hippie and genuine guitar god, the envy of everyone else. His singles made the charts, his albums achieved the combination of selling well and having real artistic credibility; he could do it all, but mostly play the guitar like no one else, using effects pedals, feedback and a huge dose of showmanship (he loved setting his instrument on fire). But he was on a collision course with destruction, a bright star destined to burn out too soon. In September 1970 he was found dead, having choked on his own vomit. Perhaps because he died before he realised his full potential, or perhaps because he was just so good, he's still idolised today. Page entered the music scene as a session player, appearing on all manner of records during the first half of the 1960s, but took centre stage when he replaced Clapton in the Yardbirds, hardening their sound. He remained with the group to the bitter end, even putting together a new band, the New Yardbirds, to fulfil some tour dates. That unit became Led Zeppelin and it was this band that gave Page his international reputation. Famed for his extended solos, double necked guitar and playing with a violin bow, he could be flamboyant - but he had the technique to back it up, filling arenas with sound. But after Zeppelin's drummer died, the band stopped playing. Page formed another group, The Firm, which was short lived and has also since played with Zeplin singer Robert Plant. There have been rumours of solo work, but very little has emerged and Page seems to have virtually retired, although the popularity of Zep has never wavered. These were the top names, but there were many others who were up in the pantheon. Peter Green, Alvin Lee, Jeff Beck, Paul Kossoff…it was a long list. But it was the time when guitar skill was a prized commodity, an inspiration to the aspiring. They, and those who played with them, advanced rock music. Although there were some American guitar heroes of the period, like Joe Walsh and Hendrix (although he died in ’70), most of those who stand out were British and came out of the blues boom. Quite why does remain a mystery, as they took an American form and ran far ahead of the natives with it. Anyone any ideas why? I know he was actually Irish (but then, Hendrix was American) but Rory Gallagher deserves to be on this list as he made his reputation in England. He started out, like the others, in the Sixties with Taste, then had his own trio and quartet, one of the hardest working men around, always on the road. One listen to his albums, though, should convince anyone that he was one of the great who died too young.